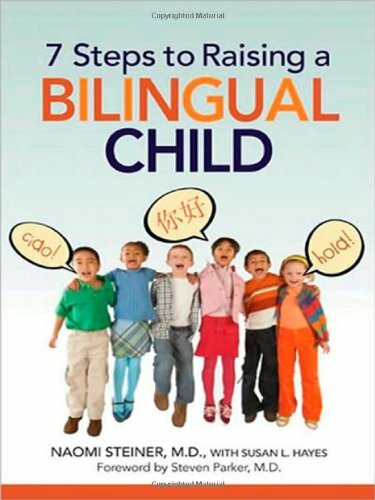 With this new edition, the new classic Colin Baker’s Guide to Bilingualism presents us with answers to the most common questions that parents with bilingual children are faced with. 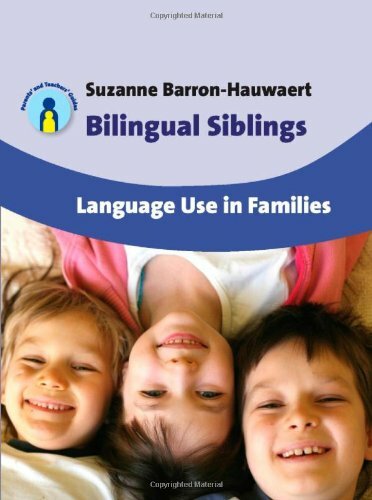 At the same time it introduces new information adapted to the times like bilingualism in the digital age and incorporating the latest research in multilingualism, neonatal language experience, language mixing and the effect of siblings. The structure of the book is easy to follow, the material is divided in sections that deal with the main aspects of the bilingual family like education, language development, problems, or reading and writing. 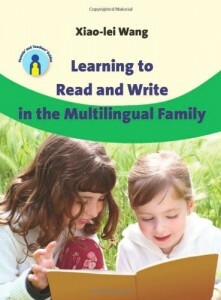 Each section contains the most common questions that come up among bilingual families and the author’s answers. 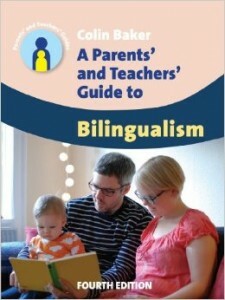 All in all, I think Colin Baker’s A Parents’ and Teacher’s’ Guide to Bilingualism is a good basic manual to have for all of those parents to be who are pondering the pros and cons of bringing up their children bilingually. It answers most of the common questions about the subject, and dispels many of the myths. 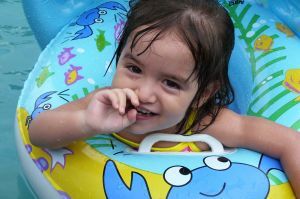 Raising bilingual or multilingual children requires dedication and hard work. It also raises an important issue, what to do with Literacy. It is likely that the children in a multilingual family will attend a school or some form of formal education in the country where they are living, where they will be taught to read and write. The teaching of the home language or heritage language as Xiao-lei Wang refers to it will fall almost exclusively on the parents, even if there is a supplementary school in the heritage language that the children must attend. In most cases, the teaching and the development of Literacy in the heritage language or languages, the main instruction and assistance will come from the parents themselves. This is a daunting task for most people, especially if they haven’t had any experience in education before, but it is more so when the task takes place in a foreign country and possibly in one or two other languages. Xiao-lei Wang’s book, Read and Write in the Multilingual Family, is a good manual to accompany you on your multilingual trip. It is informative, giving examples of real case scenarios, but its main strength, in my opinion, is that it is designed as a manual, even giving you tasks and opportunity to reflect on your practice and what you have been doing at the end of every chapter. The book also includes three sections that deal with different age groups, 0-5 years, 6-11 years and 12 to 18 years. It gives lots of practical ideas for each age group, and it includes bibliographical references with each chapter, giving you the opportunity to learn more about a particular aspect of Literacy development. It is not often that one finds a book so inspiring, and given that I intend to bring up my children not just multilingual but also multiliterate, I will certainly keep this book close to me throughout my children’s formative years. When we found ourselves faced with the decision of wether to bring up our children in 3 languages for us the decision was easy – of course, yes! Now one of the main obstacles we had to overcome was the fact that we had one Spanish native speaker and one English native speaker, so, what were we going to do with French! 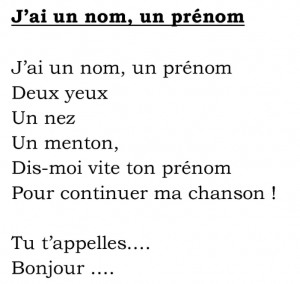 I speak fluent French, although not natively, and I haven’t lived in a French-speaking country for any considerable length of time. 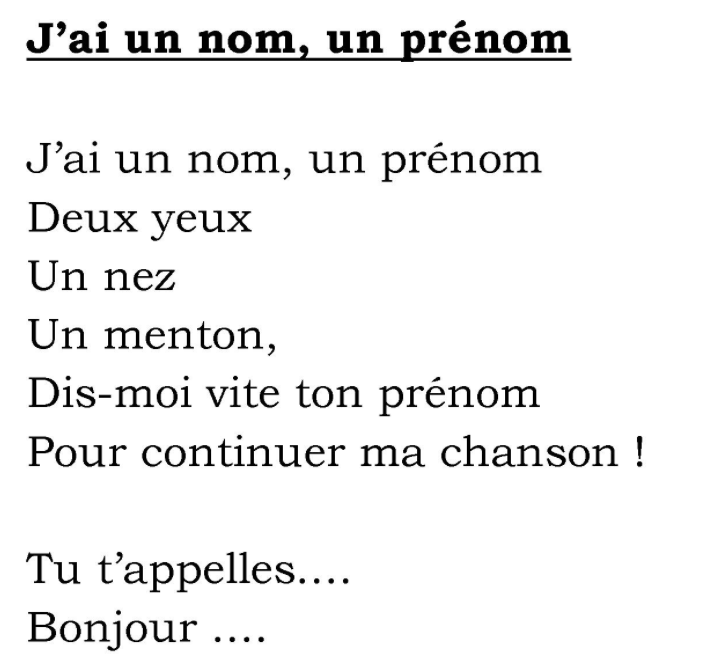 So, besides my French-speaking input, we felt that the girls would benefit from social interaction in French. 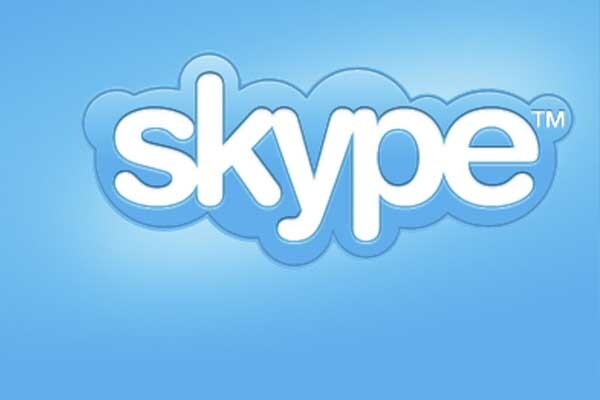 So, building a local social network became one of the main priorities. It varies from country to country, depending on how much parents work and how much childcare time the kids have, but in England the ‘playgroup culture’ is very popular. 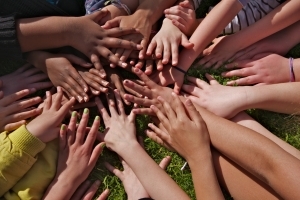 Playgroups in the UK are generally run by volunteers in church halls or community settings. They are big rooms with toys, where parents can chat and meet other parents and have a cup of tea or coffee while the children play. There is usually a nursery rhyme and story time session at the end. 1. The first concern when starting a new playgroup is financing. Many playgroups are run by volunteers at churches and the church takes responsibility for the running costs like electricity, water, coffee, tea, snacks, Xmas parties, etc. However, if you want to run a private playgroup, you will have to rent a room or find a public space that is suitable and free to use, like a public library. When I started our French playgroup, Les Petites Grenouilles, they let me use the space in the children’s area in the Bristol Central Library for an hour on Saturday mornings. The location was ideal as it was in the centre of town and I didn’t have to pay any money, which was good as the French group consisted of one person at that moment, me. Later on, when we had a few people, we moved to cafés and play-cafés where they would let us use the space for free, but parents had a drink at the café. At the moment we are at that stage and the group is thriving. An older group I also belong to, which was started back in the 1980s by a group of Spanish mums – La Casita – rents a hall on a regular basis. However, they have had time in 30 years to build a regular base so there is always enough money to cover the rent of the hall. 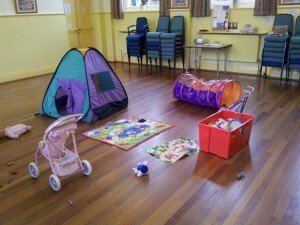 Renting your own hall with space to store toys and books is the ideal any playgroup should aspire to. However, let’s walk before running – just start small and take it from there. There is no point in stressing about not having enough money to cover the rent, which the organiser would have to cover. 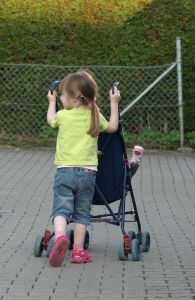 So, look for a nice family friendly space in your area and ask them if it´s okay to do a session. Generally, parents who are really invested in their children’s bilingualism would prefer having a small playgroup/meetup in a café than nothing at all. You can’t always please everybody, and many of the parents who would complain about having a playgroup in a café would not come to a playgroup in a hall either, in any case. La Casita is a playgroup for Spanish speaking people in Bristol, England. It started as a group of mums meeting in their sitting room and 30 years on the group is still alive and renting a hall every week, term-time. 2. Build your numbers little by little, and don’t expect a big turnout at the beginning. Although there are possibly many parents out there with your predicament, reaching them may be difficult initially. But don’t give up! At the first meeting of Les Petites Grenouilles there was just me and another French lady. Now for each meeting we have at least five families and over 80 people on our mailing list. It has taken over three years to reach this point but if I had given up after the first few months when it was just me and maybe one or two other mums, then we would not have a thriving playgroup now with parents volunteering to write for our blog, our Twitter account, and organise events like the Easter Egg Hunt. So, start small but keep to regular sessions. For instance, start with once a month, keep contact details of all attendees, especially email, and maintain a mailing list. Just print some black and white home-made flyers in your printer at home and leave them at other playgroups, libraries and areas where there may be people with your language. Use online ads (in the UK Gumtree is very popular and works well). Email local free magazines that cater for families, etc. But, do keep in touch through the mailing list, even if a family can’t come now, if you keep in touch they are likely to attend one of the sessions when they are free. Also, they will tell other parents about the sessions. Once you have a regular base you can increase your sessions to two a month, and so on. From one Saturday a month we increased to two a month, and just this month we have started weekly sessions on Friday mornings. 3. Don’t turn down help. Be open about accepting help and support from other parents. 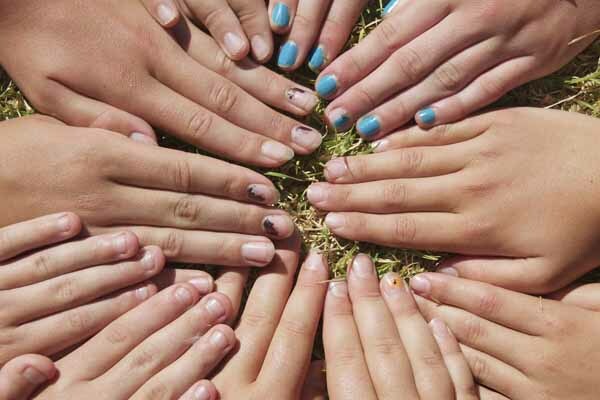 Quite often they will want to help and participate but they may be shy to ask – or they may think that as you are the “main organiser” and it was “your idea” and, so, you would´t want help. Of course, you want help, and you want other parents to participate, this is the only way for the group to become an organic entity that grows with its needs. However don’t expect help to be forthcoming. You will probably find that it takes quite a few sessions to find those special people who really want to take part in the group and help. They will be the “regulars” who will come with rain, snow or thunder. 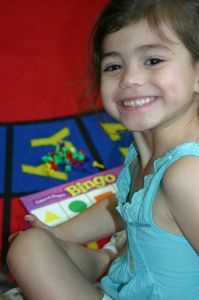 Be patient, just build the playgroup and they will come! 4. Have at least one special event a year. Depending where you come from or what part of the world you’re living in, you will be celebrating different festivities. In our case, given our background and the country we are living in, England, our main event is the Xmas party. Even on the first year when you may not have many people on your mailing list, it is important to celebrate that special event. This will not only bring the regulars together and strengthen budding friendships, but you’re likely to attract interest from people who may not be able to come to regular meetings. Our first Xmas party was quite big considering that our regulars weren’t that many. Lots of new parents attended and some of them have stayed and have turned into regulars. Don’t go overboard with preparations, especially if the money is tight. Rent a special place, this time it is important that it is your space and not a café or a public space that you have to share. Shop around, find a nice church hall that can be rented out for events. Three hours should be enough, leaving half an hour for arrival and preparation, and half an hour at the end to pack up and clean. 5. Keep a structured but flexible approach. 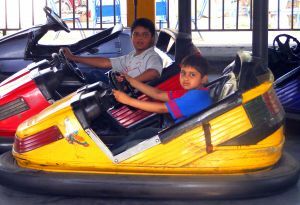 All people like structure to a certain extent, and especially this help in playgroups, where people will be able to remember the “activities” they have taken part in and if they enjoy them they will be happy to return and participate. However, the group is not there to teach children language – this is something parents should be doing at home. The group is to reinforce the language and the culture, as well as create bonds with other people who share the same language. 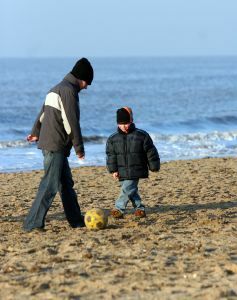 This bond or relationship is not just for the children but also for the parents. So, make sure there is plenty of time for parents to socialise and chat, and that children are allowed enough time for child-led play. - Arrival, greetings, people get drink/coffee, settle down, chat. - We continue with some nursery rhymes. - Followed by an easy craft. Here children are free to join or play. Parents will help their children or talk to other parents. - We end the session with a couple of stories. This is from our last session. 6. Money matters. 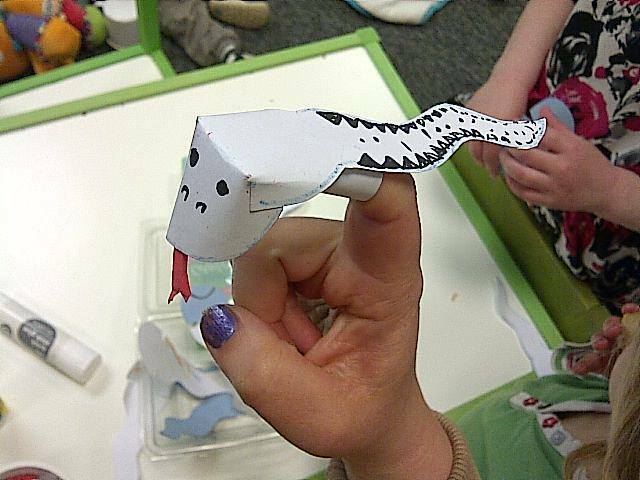 Money, as we all know, doesn’t bring happiness but certainly helps to buy stuff to organise a playgroup. If you start small, there is no need to start talking money at the beginning. Start in a café or a free meeting area, once you have enough people to start preparing more structured-organised activities, you can ask for a small fee that you can save to pay for rent and materials for your Xmas party. The aim is not to make money from the group, but to have some money saved so you don’t have to stress about covering costs for special events. For the first couple of events I organised for Les Petites Grenouilles I had to cover the costs up front. This is not an ideal situation and a bit stressful. So, to avoid it, we set a fee per session, as they do in all playgroups. Now, we can cover the costs of hall rental and materials upfront and if there is any money left save it for the next event, or any materials we need to buy.